Nine-time Grammy winner Miles Davis is without a doubt one of the most famous American jazz musicians of all time. This Julliard-trained trumpet player and band leader left his mark in the jazz world with his distinct style of performance. His albums skyrocketed him to fame and success, and with that success came abundance. A true supercar aficionado, Davis amassed a car collection most of us only dream about. Although Miles Davis is considered legendary for his musical talent, his taste in cars is equally as famous. Which supercars did Miles Davis include in his collection? Many supercar enthusiasts consider the Lamborghini Miura to be the world’s first supercar. First unveiled at the 1966 Geneva Motor Show, this car shocked the auto industry with its mid-engined model. At the time, most cars had front-engined cars, so the Miura stood out. This car was named after a breed of Spanish fighting bulls, which are also a part of the Lamborghini logo. In fact, Davis wasn’t the only famous musician with a soft spot for Miuras; Frank Sinatra and Dean Martin also owned this supercar as well. Davis preferred to stash a .357 magnum underneath the driver’s seat of his beloved car, which he ended up crashing and totaling in a drug-fueled rampage in 1972. Although Ferrari and Lamborghini were bitter rivals, Miles Davis was a fan of both brands of supercars. The Ferrari 275 GTB is on the wish list of any true Ferrari fan. This was the first Ferrari model that included an independent rear suspension and a rear-mounted transaxle. The open-top models of the 1967 Ferrari 275 GTB are some of the most expensive cars in the world because only 10 of these cars were built. One of these cars was driven by Steve McQueen in The Thomas Crown Affair, which sold at an auction for 427.5 million. When Miles Davis purchased his Ferrari, his lawyer informed the local police of the color of his car. Davis was concerned that police would be constantly pulling him over and assuming the car was stolen because he was a black man driving a Ferrari. Interestingly enough, Davis liked to drive with guns in his cars as well. Of all Miles Davis supercars, this is probably the most famous car that he owned. His bright yellow supercar features 390 hp, 4.9 liter flat-12 engine with a 5-speed manual transmission. This flashy, speedy car goes from zero to 60 mph in 5.2 seconds and can hit speeds up to 180 mph. Davis enjoyed zipping his car along the coastal roads of Miami, and even made an appearance in this car on the 1985 hit show, Miami Vice. Miles Davis owned a variety of other pricey cars, including a Mercedes-Benz 190 SL and a Jaguar XJ-S. With his great fortune, Davis was able to speed along in cars that most of us only dream of driving. 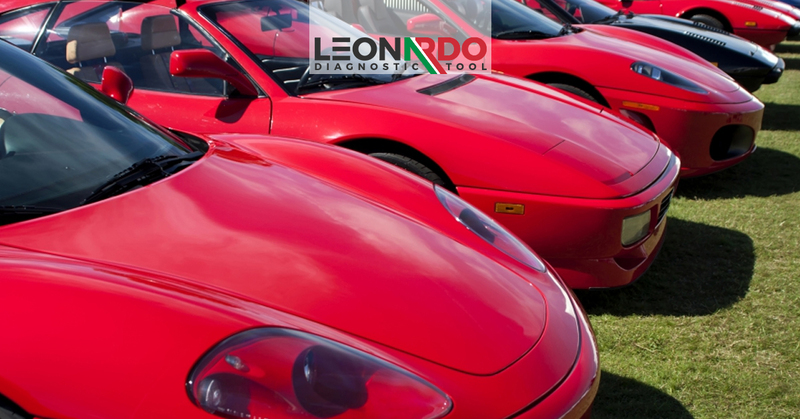 At Leonardo Diagnostic, we provide the highest-quality diagnostic car tools used for supercars including Maseratis, Ferraris, Lamborghinis, Aston Martins, and more. If you have a high-quality supercar, then you only want to use the best car diagnostic equipment available. Don’t settle for cheap imitations. Contact Leonardo Diagnostic Tool today.